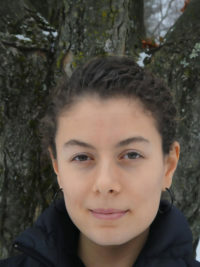 Greta Zarro is Organizing Director for World BEYOND War. She has a background in issue-based community organizing. Her experience includes volunteer recruitment and engagement, event organizing, coalition building, legislative and media outreach, and public speaking. Greta graduated as valedictorian from St. Michael’s College with a bachelor’s degree in Sociology/Anthropology. She then pursued a master’s in Food Studies at New York University before accepting a full-time community organizing job with leading non-profit Food & Water Watch. There, she worked on issues related to fracking, genetically engineered foods, climate change, and the corporate control of our common resources. Greta describes herself as a vegetarian sociologist-environmentalist. She is interested in the interconnections of social-ecological systems and sees the profligacy of the military-industrial complex, as part of the larger corporatocracy, as the root of many cultural and environmental ills.